Niels Wilhelm Gade (22 February 1817 - 21 December 1890) was a Danish composer, conductor, violinist, organist and teacher. He is considered the most important Danish musician of his day. Gade was born in Copenhagen, the son of a joiner and instrument maker. He began his career as a violinist with the Royal Orchestra there, and saw his concert overture Efterklange af Ossian ("Memories of Ossian") premiered with them in 1840. When his first symphony was turned down for performance in Copenhagen, he sent it to Felix Mendelssohn. Mendelssohn received the work positively, and conducted it in Leipzig, March 1843, to enthusiastic public reaction. 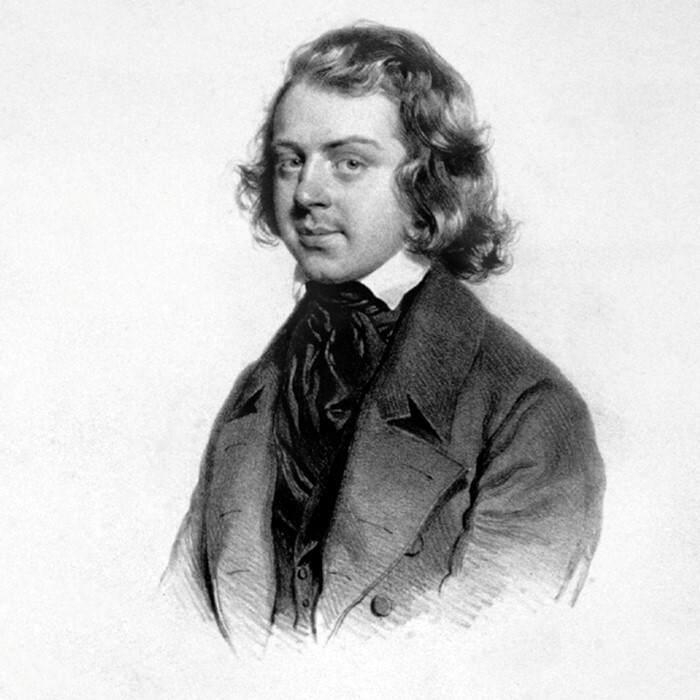 Supported by a fellowship from the Danish government, Gade himself moved to Leipzig, teaching at the Conservatory there, working as an assistant conductor of the Gewandhaus Orchestra, and befriending Mendelssohn, who had an important influence on his music. He also became friends with Robert Schumann. At Mendelssohn's death in 1847, Gade was appointed to his position chief conductor but was forced to return to Copenhagen in the spring of 1848 when war broke out between Prussia and Denmark. In Copenhagen Gade became director of the Copenhagen Musical Society (a post he retained until his death) and, establishing a new orchestra and chorus, settled in to a career as the most prominent musician in Denmark. He also worked as an organist and was joint director of the Copenhagen Conservatory with Johan Peter Emilius Hartmann (whose daughter Gade married in 1852) and Holger Simon Paulli, and worked as an organist. An important influence on a number of later Scandinavian composers, he encouraged and taught both Edvard Grieg and Carl Nielsen, as well as lesser figures such as Otto Malling. He died in Copenhagen. Among Gade's works are eight symphonies, a violin concerto, chamber music, piano pieces and a number of large-scale cantatas, Comala (1846) and Elverskud (1853) amongst them, which he called koncertstykker ("concert pieces"). These are sometimes based on Danish folklore.